To the left you will see our general coverage area. 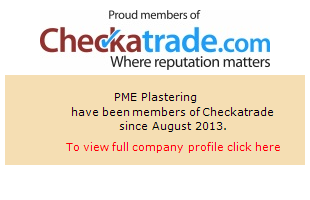 PME Plastering are based in Chalgrove, Oxfordsire and cover a number of the home counties as well as West and North West London (along the M4 corridor). Oxford, Aylesbury, Banbury, Reading, Swindon and Newbury are all large towns that we will happily travel to. Please use this only as a rough guide and do not be put off if your are just outside the area stated. Jobs outside this area will be considered after discussion so feel free to contact us to discuss your needs.